I’m slowly starting to think about the nursery. What the crib will look like, what kind of dresser we want, mobiles, toys, rugs, art. Without knowing if this Baby is a boy or girl it’s a little difficult to narrow anything down – but one thing I know is that I will be making a print similar to this for the room, whether it’s a boy or girl. 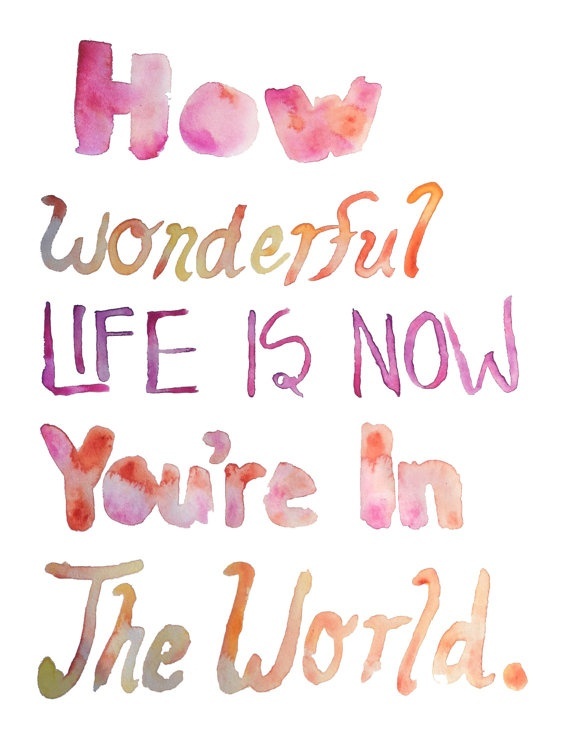 “How wonderful life is now you’re in the world.” My sentiments exactly. I love this baby SO much already.